The first big rule in the music department: avoid first person in reviews. I’m going to break that rule. Music journalism tends to operate under the paradox of talking objectively about one of the most personal, subjective experience someone can have. 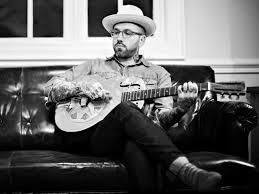 No one knows that better than Dallas Green of City and Colour. I’ve fallen in love to City and Colour. I’ve felt love crumble around me to City and Colour. If I could go back and choose an artist to be the soundtrack to those things I wouldn’t change a thing. Known for his somber lyrics juxtaposed against cheery (mostly) finger-picking folk, Green makes it clear from the jump that If I Should Go Before You will be different. The opener, “Woman” more closely resembles Brand New circa Deja Entendu, a spacey nine-minute journey that favors a new economy in songwriting. Greens voice croons lightly and sweetly over the dark guitars, building in intensity and grit until it explodes alongside the drums, creating a huge moment that’s sure to blast away live crowds. At other times, If I Should Go is classic City and Colour, just expanded. The simplistic folk tunes have become more akin to Ryan Adams-like rock and roll. This is evident on tracks like “Mizzy C.” Until the falsetto enters, the verses sound like they were ripped straight off of the last Adams album. Then vintage City and Colour re-emerges at the chorus, as the keyboards cascade into a major key blast, complimenting a sweet Dallas Green melody. “Wasted Love” not only completes the rock transformation of Dallas Green, but is easily one of his best songs. Period. “The Girl” was sickeningly sweet. “Wasted Love” is everything that song was not. “The Girl” is now the careless lover “pouring honey in my ears.” He acknowledges the relationship is wasting away but admits he can’t get enough “I’m crying out for more/ ‘Just a little more’/Tied down to the floor/Like a prisoner of war… The day is nearly gone/ I must carry on with this wasted love”. The song pulses forward in straight rock fashion, dressed up in driving guitars, complete with a ripping guitar solo and an unforgettable hook. “Runway” is a bit of a black sheep, clinging to its true folk nature. But the following track “Lover Come Back” is as good, if not better, than anything Green’s ever done. It’s an age old story, “Lover come back/ Lover come back to me/ How could I be so foolish to let you leave?” but is the perfect example of how a great voice and a great melody can make you feel something new while hearing something old. This is one of those songs that can only be captured by saying it just feels right. The track pairs perfectly with the album closer. An acoustic track bleeding tension that still leaves you hopeful through its chorus “Now I know there’s beauty buried beneath/The surface of what we seek/All hopes left unfound/They lie between the wish and the well.” But that means that all we have to do is dig. Just beneat the surface is the beauty that we seek. And there’s beauty all over this album. Just dig a little.